Vitacon is a Brazilian building company that raised with a new business model. Using design, technology and sharing economy to simplify the life, the business innovation is how everyone can invest in buildings. The challenge is replied to the new concept on their website, engaging new investors and potential clients. Believing in the energy of the new company, I used a vibrant palette of colors to represent this. The typography was chosen to be modern and clean to reflect the technology behind the buildings. Patterns and images suggest that the company is on a movement to grow. 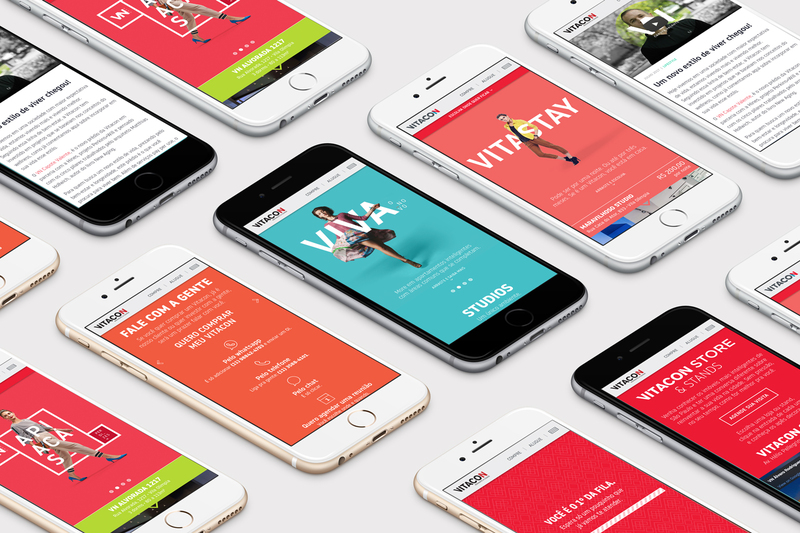 The site was thought to be mobile first and responsive to all screens.